The 2nd Monday Series at the College of Charleston School of the Arts will present classical guitarist Anton Baranov on November 10 at 7:30 p.m. at the Recital Hall of the Simons Center of the Arts, 54 Saint Philip St. For this performance, he has prepared a virtuosic collection of music by Luigi Legnani, Agustín Barrios and others. General admission is $15 and $10 for all students with school I.D. Buy tickets at the door, or reserve your tickets by calling (843) 953-6575. 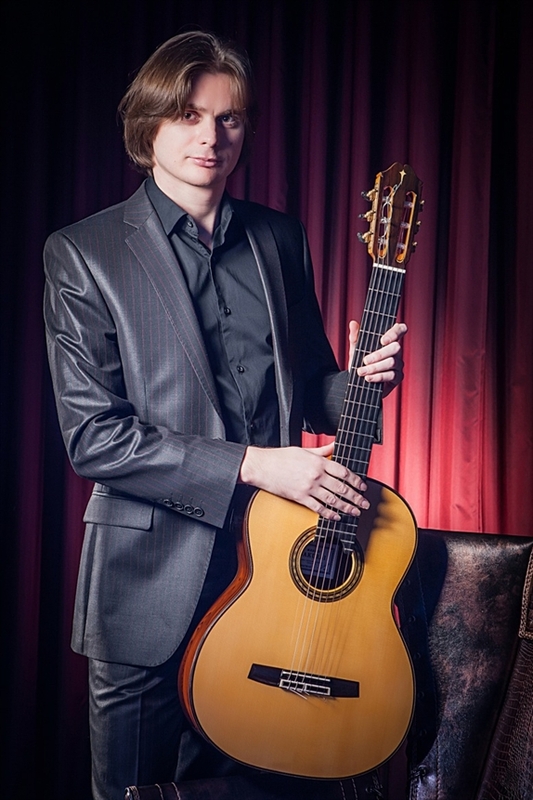 Baranov is the winner of the 2013 Guitar Foundation of America (GFA) Competition. With competitor fields representing many countries, top judges, and outstanding prize packages, winning the GFA has become a coveted milestone. Baranov’s visit with the College is part of his 50-city concert tour in the United States, Mexico, Canada and Brazil, which was included in this prestigious award. Having graduated from the famous St. Petersburg State Rimsky-Korsakov Conservatory in 2010, and having won numerous international prizes: the Koblenz Guitar Competition, Andrés Segovia Competition and Agustín Barrios Competition, Baranov is well known for his daring interpretation and innovative programming. Read more about Baranov and the GFA award and tour. Watch a video of his impeccable technique.